BUST A MOVE FOR NINTENDO Wii WITH INSTRUCTIONS DISC NEAR MINT! HERE FOR SALE IS - 'BUST A MOVE FOR NINTENDO Wii. DISC IN NEAR MINT CONDITION,IT HAS BEEN TESTED. 5 out of 5 stars - BUST A MOVE FOR NINTENDO Wii WITH INSTRUCTIONS DISC NEAR MINT! 1 product rating1 product ratings - BUST A MOVE FOR NINTENDO Wii WITH INSTRUCTIONS DISC NEAR MINT! Dood's Big Adventure - uDraw - Nintendo Wii. Inventive action sim from Nintendo. Has a reversable sleeve with art on both sides. UK - £2.00. Mint = Perfect condition, looks unused. Near Mint = Almost perfect apart from a little blemish. Disc - Very Good. The Test Will all the training have paid off?. Platform: Nintendo Wii. Nintendo Wii / Wii U.
Creativity and problem solving skills are the key to victory in Dood Big Adventure. Fan Frenzy - In this mode, Dood has been inflated like a balloon. Use the Stylus to blow and move Dood around the level. Goodcondition from my personal collection. The disc has only very minor marks. Language is English. Pattern picture! Item may differ from the photo. The Konsolenkost-Team wishes you a lot of fun. Please refer to item description and photographs. SQUEEBALLS PARTY. NINTENDO WII. NEW & SEALED CONDITION COMPLETE . Angry Birds Trilogy (Nintendo Wii). Title:Angry Birds Trilogy (Nintendo Wii). All of our paper waste is recycled within the UK and turned into corrugated cardboard. General Interest. Your item will be previously owned but still in great condition. Nintendo Wii. Nintendo Wii U. It will Not work on USA or NTSC Consoles. This will work on all EU PAL Consoles. Item Compatibility. Item Location: Yorkshire, United Kingdom. Format: PAL (Unless otherwise stated). NEW SEALED. Condition Notes : As seen in the pictures we have provided a few pictures and will let you judge for yourself the condition of the item our opinion is listed below. NINTENDO WII. BUST A MOVE. Play with a friend in an incredible multiplayer experience. NEW & SEALED CONDITION COMPLETE . Platform : Nintendo Wii, Nintendo Wii. Condition : Very Good. List Price (MSRP) : 9.95. Release Date : 2011-09-05. Still in original shrink wrap - never opened. Hamster Heroes. Compatible With Nintendo Wii & Wii U PAL. Manual: Very Good Condition with minor creasing. See photos for details of the actual item. Bookmark Us. New listingBIG BRAIN ACADEMY and GO DIEGO GO SAFARI RESCUE FOR NINTENDO Wii - CHEAP! Bust A Move (Wii). Title:Bust A Move (Wii). All of our paper waste is recycled within the UK and turned into corrugated cardboard. Your item will be previously owned but still in great condition. The disc will play perfectly without interruption and the case, inlay notes and sleeve may show limited signs of wear. Jewel Quest Trilogy (Wii). Title:Jewel Quest Trilogy (Wii). Your item will be previously owned but still in great condition. The disc will play perfectly without interruption and the case, inlay notes and sleeve may show limited signs of wear. 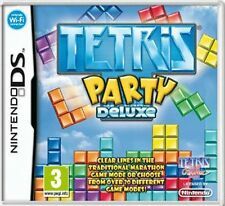 FOR NINTENDO Wii. Disc -Goodcondition. Tested & Working. Big Brain Academy For Wii. This is for use on Nintendo Wii. You will receive what is shown in the photo provided. This item is Used as in the photograph. Manufacturers part number : RVL-RYWP-EUR. Flex your brain the fun way with family and friends. In very good condition instruction booklet included. 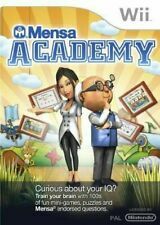 wii-BIG BRAIN ACADEMY Game for Nintendo wii. NINTENDO ii, big brain academy IN GOOD CONDITION HAS MARKS ON DISC. NEW AND SEALED DOOD'S BIG ADVENTURE FOR THE NINTENDO Wii, *** FREE P&P. NEW AND SEALED DOOD'S BIG ADVENTURE FOR THE NINTENDO Wii, FREE P&P WITHIN THE UK. 4 out of 5 stars - NEW AND SEALED DOOD'S BIG ADVENTURE FOR THE NINTENDO Wii, *** FREE P&P. 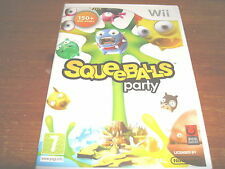 1 product rating1 product ratings - NEW AND SEALED DOOD'S BIG ADVENTURE FOR THE NINTENDO Wii, *** FREE P&P. These include code breaking, facial reconstruction and location identification using photos. Use X-rays, DNA and laboratory kit and more. Big Brain Academy For Nintendo Wii. Great Condition. Dood's Big Adventure - uDraw (Wii). Title: Dood's Big Adventure - uDraw (Wii) Item Condition: used item in a good condition. 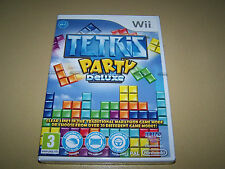 Platform: Nintendo Wii Genre: casual. 3 Southeast and East Asia Breakdown of countries. List Price: -. Sourced directly from the manufacturer or distributor of the original release. 4 out of 5 stars - Dood's Big Adventure - uDraw (Wii). 1 product rating1 product ratings - Dood's Big Adventure - uDraw (Wii). Mercury Meltdown: Revolution (Wii, 2007) - UK Version BOX & INSTRUCTIONS ONLY I lost the CD for the game. You are bidding only for the box, inlay and instructions. NB No CD/DVD INCLUDED!